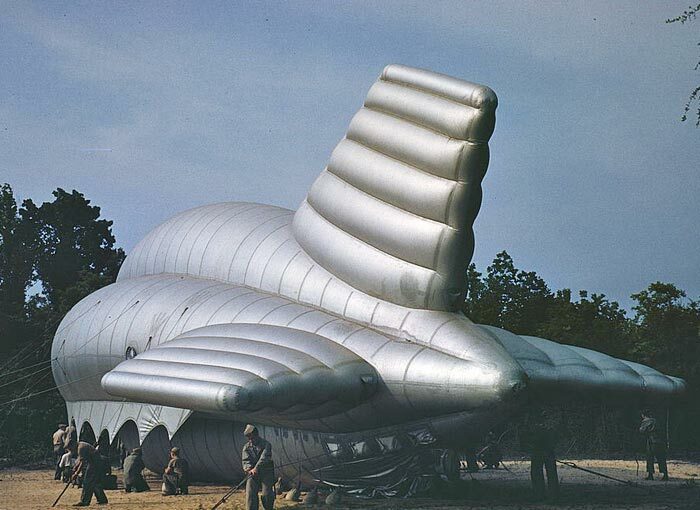 U1 transparency : color, 1939-1945 World War time. 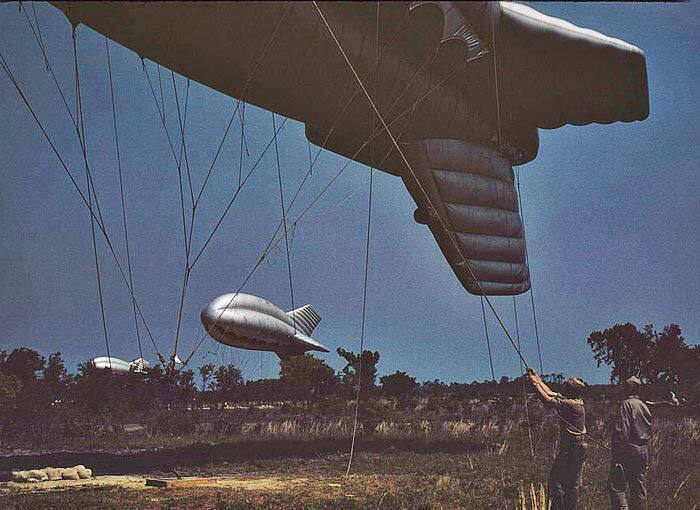 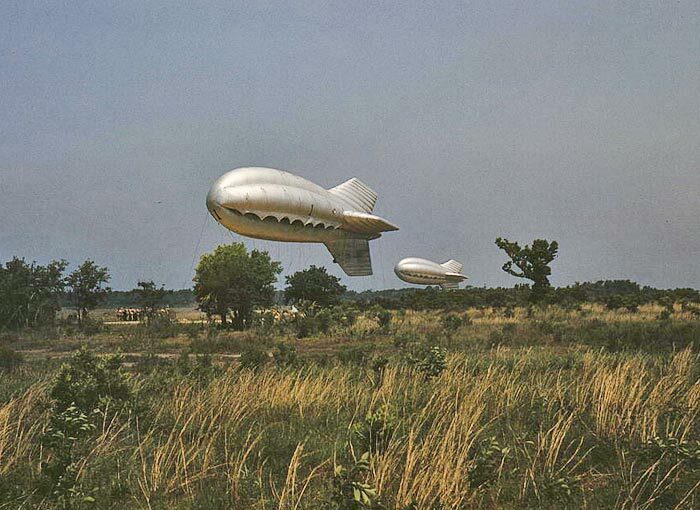 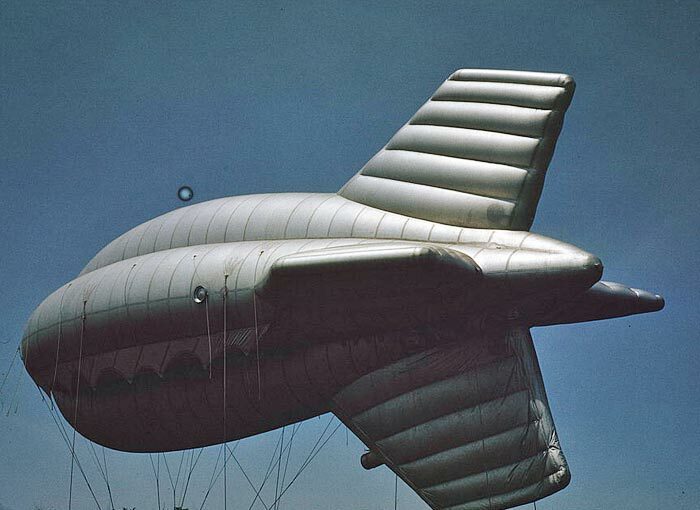 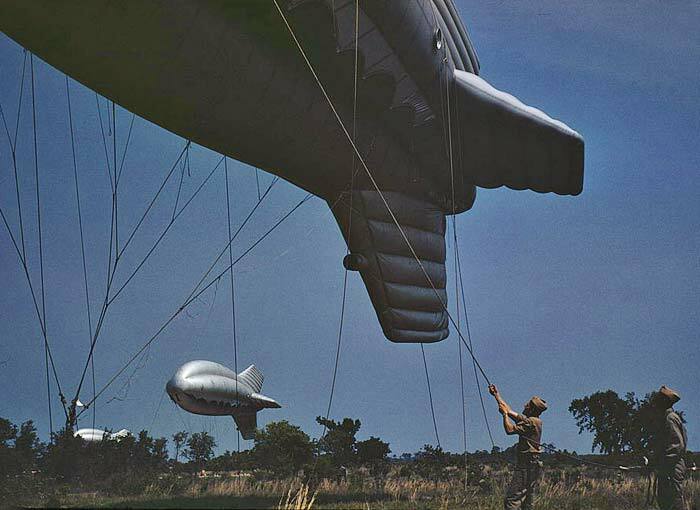 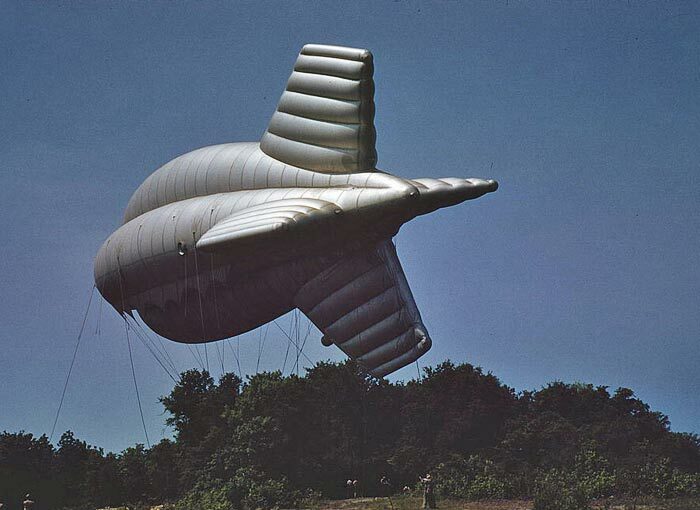 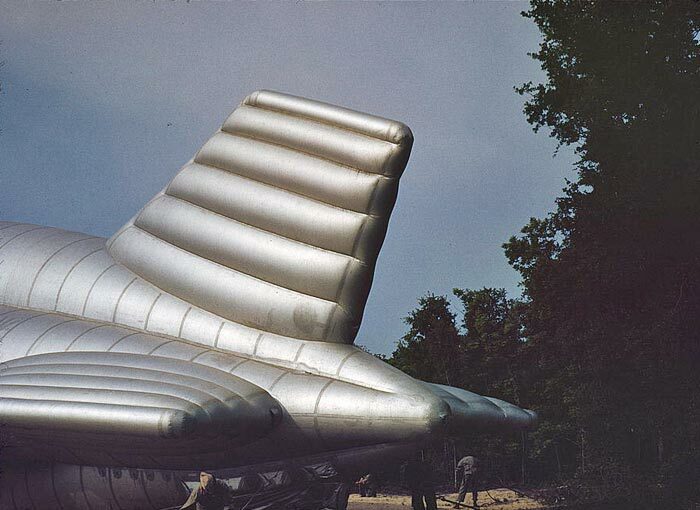 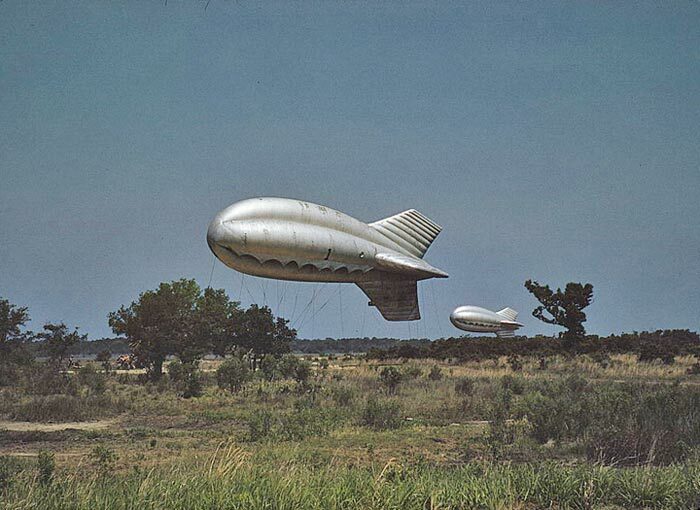 Marine Corps barrage balloons, Parris Island, S.C.
About the FSA/OWI Color Photographs: Photographers working for the U.S. government's Farm Security Administration (FSA) and later the Office of War Information (OWI) between 1939 and 1944 made approximately 1,600 color photographs that depict life in the United States, including Puerto Rico and the Virgin Islands. 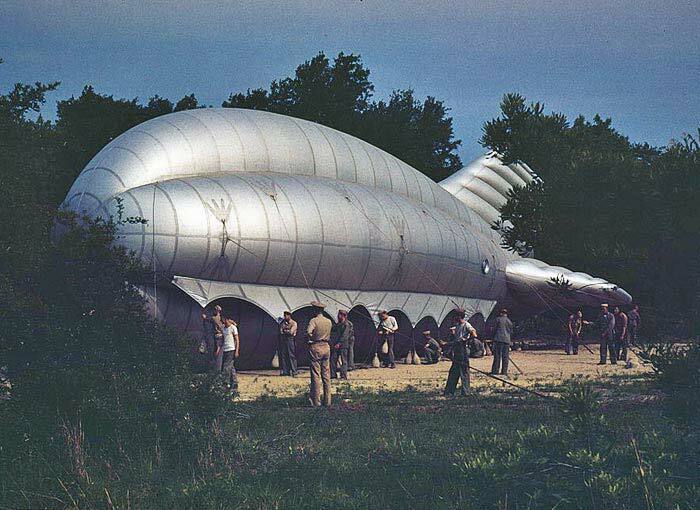 The pictures focus on rural areas and farm labor, as well as aspects of World War II mobilization, including factories, railroads, aviation training, and women working.